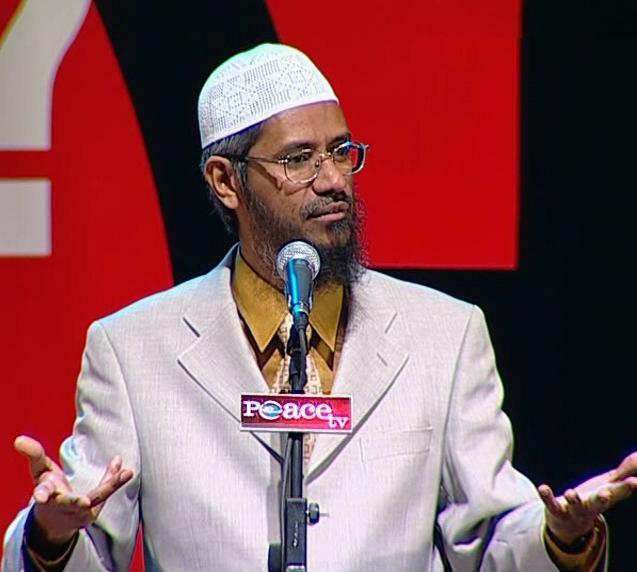 As we reported last week, the High Court has approved the exclusion of Dr Zakir Naik, a popular Indian television Islamic preacher, from the UK on the grounds that his presence would not be conducive to the public good. Despite the High Court finding that the initial decision to exclude Dr Naik was procedurally unfair and that Article 10 ECHR (the right to freedom of expression) was engaged in relation to his supporters, his challenge to the exclusion was rejected. This case focuses the spotlight once more on the somewhat limited territorial reach of the rights and freedoms guaranteed under the Convention, as well as the wide discretion of the Home Office to exclude radicals which it considers have displayed ‘unacceptable behaviours’. Dr Naik’s judicial review was based on four grounds; 1. A breach of legitimate expectations; 2. Procedural unfairness; 3. A violation of the right to freedom of expression pursuant to Article 10 ECHR, and; 4. Failure to give sufficient reasons and to take into account all relevant circumstances and to act rationally. Towards the end of May and into June several newspapers portrayed Dr Naik as “preacher of hate” and a supporter of extreme Islam. Dr Naik maintains that these allegations are wholly unjustified and that his lectures were based on peaceful Islamic values. He maintained that the statements being used against him by the Home Office were manipulated excerpts taken out of context. Following a meeting and correspondence between Dr Naik and the Secretary of State, the Home Secretary made the decision to exclude him on the 16 June 2010. This was conveyed to Dr Naik on 17 June, one day prior to his expected arrival in the UK. The decision was based on the fact that several of his statements fell within the Home Office’s “Unacceptable Behaviour Policy”, an indicative guide to types of behaviour which would normally result in grounds for exclusion, and that his presence would not be conducive to the public good. Theresa May the new Home Secretary has robustly defended her decision in what some commentators have hailed a “political test” of her mettle. May claims it will help ensure that the UK does not become a platform to promote violent extremism. Dr Naik has visited the UK on 15 occasions since 1990 using various visitor visas ranging from 6 months to 5 years in length. The most recent of which was a 5 year business visa, allowing multiple entry, granted by the Deputy British High Commission in Mumbai in June 2008. Dr Naik made plans for several public lectures in June and July at Sheffield Arena, Wembley Arena and Birmingham National Exhibition Centre, with expected audiences of approximately 45,000 people. Mr Hussain QC Counsel for Dr Naik argued that in addition to this adopted practice was the fact that there had been “ample opportunity” to consider Dr Naik’s acceptability on conducive grounds. During his previous visits he had addressed large public audiences and had even attracted some controversy in 2006. The High Court dismissed this ground stating that the course of conduct did not lead to a legitimate expectation that the Secretary of State had addressed the issue of his public statements and concluded that he was suitable to be in the UK. “[f]lawed for a lack of procedural fairness”. Evidence that Home Office officials has began to research Dr Naik’s profile in May 2009 indicates that it would have been possible to construct a case against Dr Naik well before June 2010. It appears that the initial decision was made rather haphazardly in order to prevent him from travelling on 18 June, an approach criticised by the Court. Despite this initial finding of unfairness the High Court held that subsequent dealings with Dr Naik, namely the more detailed letter to him on the 9 August was not procedurally unfair. The final judicial review challenge, failure to give sufficient reasons and to take into account all relevant circumstances and to act rationally was linked in the judgment to procedural unfairness. It held that for the same reasons as above that the 16 June letter did not give sufficient reasons, but that this was remedied by the more detailed 9 August letter. It went onto to note that the irrationality challenge had an established and high threshold which was not met in this case. The Article 10 challenge raises interesting and topical points in relation to the territorial jurisdiction of Convention rights and freedoms. It has been widely debated in recent cases (R (Smith) v Secretary for Defence  UKSC 29 (see our post); Al-Skeini & Others v Secretary of State for Defence  1 AC 153, currently before the Grand Chamber; Bankovic v Belgium  11 BHRC 435) whether Article 1 ECHR guarantees the rights and freedoms of the Convention to those outside of the State’s jurisdiction. Jurisdiction is primarily attached to the territory of the state, with some exceptions. There is a balance to be struck between the regional identity of the Strasbourg Court and the universalistic aspirations of Convention rights. The Court had difficulty in stretching the guarantees of Article 10 to Dr Naik as he was applying from outside the jurisdiction. Applying both Al-Skeini and R (Smith) it was decided that Dr Naik was unable to directly assert his Article 10 rights. The High Court went on to analyse the less used aspect contained within Article 10, the right to receive information. The imparting and receipt of information are two sides of one coin. As such Dr Naik’s supporters based in the UK, those like the Islamic Dawah Centre were entitled to the right to receive the information that Dr Naik would have given them during his public lectures. Article 10 was accordingly engaged. However, the High Court held that the interference with Article 10 could be justified under Article 10(2) as it was proportionate and in accordance with the law governed by the Immigration Rules and the published Unacceptable Behaviours Policy. The High Court also noted that Dr Naik’s freedom of expression was not drastically curtailed as he could still distribute his views through Peace TV and other mediums; the justified interference was not deemed to be “major” by the Court. dr zakir naik’s videos are are freely available for sale in the uk ,over the internet and he has his own islamic channel which is broadcast 24 hours in the uk ,his comments on the grounds of which he has been excluded are available on all of the above mentioned media so why exclude him ? UK should learn some laws or probably borrow some rules from Indian constitution or some one who has done LLB, at least. If this decision is right then why let Mr Fazlur Rahman who is part of Taliban come HS get a life. unlawful act done by the UK….SHAME. If `unacceptable behaviour` is a reason for deportation, I, for one, am sure that rioting, drug pushing, & other base crimes against our laws could be added to this; let`s get on with it.